I normally only feature native Australian animals on my site, but I think Harriet has been here long enough to qualify. 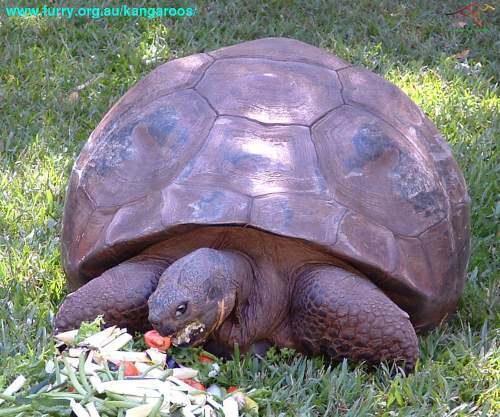 She was picked up by Charles Darwin when he visited the Galapagos Islands in 1835 and he deposited her in Australia, where she has been living ever since. 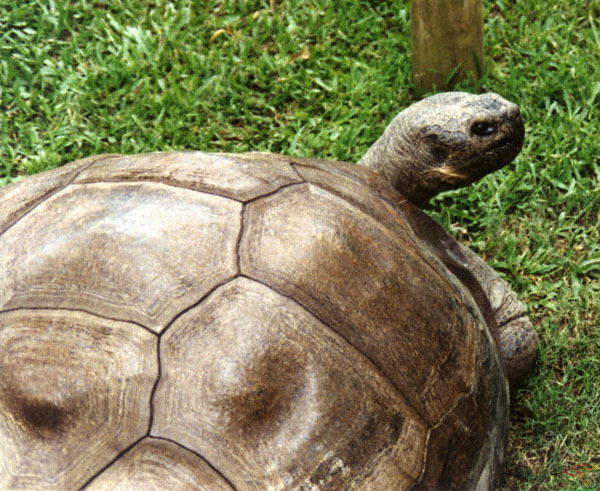 She originally lived in the Brisbane Botanical Gardens and was named Harry after the curator. It was later found that Harriet was a "she" so they changed her name. After they closed down the animal display part of the gardens, she was left to wander free and welcome the visitors because they couldn't bear to part with her. Unfortunately, some visitors would abuse her and so they eventually gave her to Fleahy's Wildlife Sanctuary in 1952. 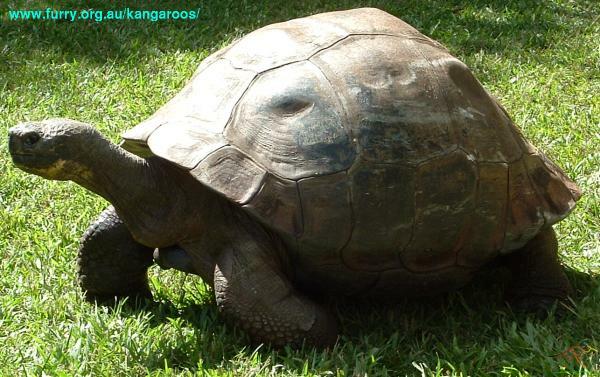 She now lives in peaceful repose in Australia Zoo. In spite of her age and her sometimes cruel life, she still has a wonderful cheeky personality. They're not sure how long she'll live but they hope it will be to 200 or 230 years old so hopefully she will be enchanting visitors for many more years to come. 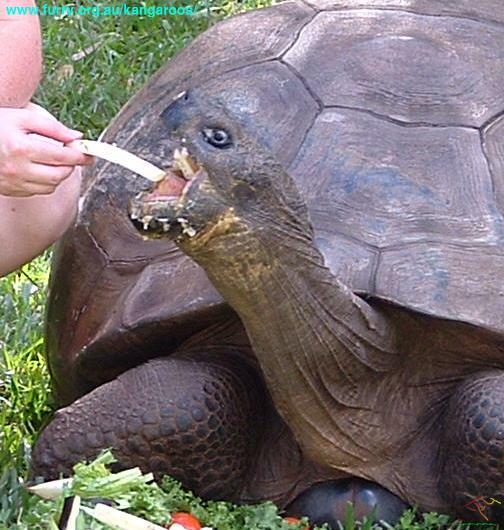 23rd June 2006- It is with deepest regret that I have to announce that Harriet the tortoise passed away of a heart attack at the age of 176. She was always my favourite whenever I visited Australia Zoo and I would eagerly go to her enclosure to see how she was going. The staff had hoped that she would live for many more years yet. My condolences to the staff at Australia Zoo. These will be the last photos you will see from me of Harriet. Open wide! Everyone loves Harriet at Australia Zoo, and can you blame them? This photo also gives you a good look under her shell. Not bad for 173, is she?